Biking to work is great and everything, but there is something much more fun about triking to work. The Three electric tricycle from Veliac is a fun way to get around, and it doesn’t skimp on cargo space or safety features. 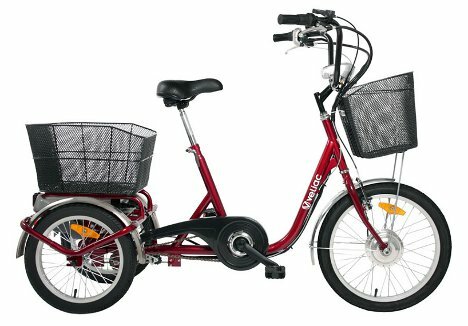 Tricycles are generally quite difficult to drive around curves and corners (making them kind of a pain for urban commuting), but their three-wheeled base is a lot more stable than a bike, which is important when carrying cargo. The Three compromises by incorporating a tilting axis balancing system which allows the front of the bike to lean into corners while the cargo area remains upright. For those times when your legs are too tired or your cargo is too heavy, the trike offers three speeds of power assisted pedaling: 50%, 75% and 100%. The motor has a top speed of 15.5 MPH when on high. 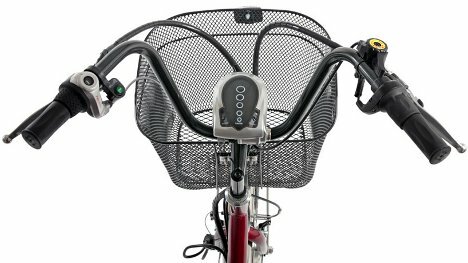 The steel-frame trike features handbrakes, turn signals, a headlamp and a horn, all designed to keep the rider safe on the road. See more in Bikes & Cycles or under Transportation. May, 2012.